Select tiles with the same picture and they will disappear. Only free tiles that are not covered are allowed to remove. Support for 11-inch iPad Pro and new 12.9-inch iPad Pro. 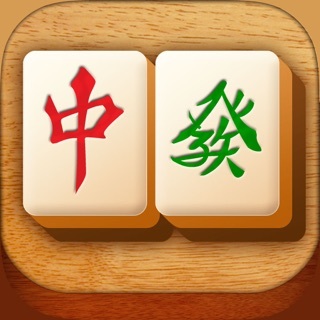 I’ve downloaded several versions of mahjong over the years, and found this one to have good games that I can easily see and play. I opted to buy additional games in this app to support the developer and have enjoyed each one. I also appreciate that this app doesn’t make you pay to dim/highlight available tiles, hints or undo you last move. Other apps have wonky colors and designs that are hard to tell apart and have no way to change the tiles for free. No thanks! And other apps have stories or things to collect as you play to earn hints, undos, etc. And still others have you pay up for pretty much any help at all. Ick! I absolutely love this app and play throughout the day. I simply cannot recommend highly enough. Try it and I bet you’ll enjoy it as well. This game is awesome! The music is a stress relief when the levels get frustrating, over all, its one of the most addicting games I’ve ever played. I can’t blame this on the game or anything, but I get so lost in the game I become late for important things like, for instance, meetings, etc. Thats one complaint, it’s too good! One other thing though that made me rate it 4 stars is the animal and plant tiles, it’s a matching game, I get it, but you have to match plants, not depending on how they look, but if they’re plants. Just in case I confuse anyone, an example is: a bamboo tile, and a flower tile, make a match! It just doesn’t seem right. But over all of that, I still play it a lot and I love the gameplay!